Friday marks two years since an explosion rocked a Silver Spring, Maryland, apartment building, killing seven people. 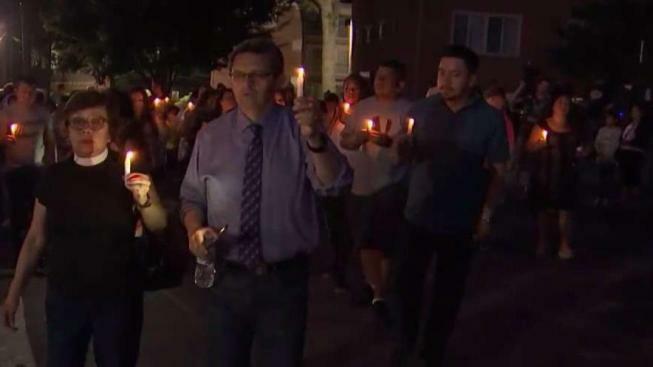 The community gathered Friday night to remember the victims of the tragedy. On Aug. 10, 2016, a massive explosion ripped through the Flower Branch Apartments complex. Seven people, including two children, were killed. Nearly 40 people were injured in the blast, and at least 80 families were left without homes. With candles lighting their path, survivors of the explosion and fire honored the victims at Friday's vigil. Although years have passed, the tragedy is still fresh on their minds and those who lost relatives say the pain will never go away. “We never forget that. In my mind I always have a picture of my father when he was still alive, but we have to keep forward,” said Erick Jiménez, who lost his father, Augusto Jiménez. Another woman told News4 in Spanish that she and her relatives still live with stress, trauma and anxiety caused by the explosion. The cause of the explosion and fire remains undetermined, but federal investigators did find a disconnected vent pipe in the apartment building. The Bureau of Alcohol, Tobacco, Firearms and Explosives said natural gas built up in the basement room where the disconnected pipe was found. While many questions remain unanswered, the tragedy did give way to some changes. Last year, the County Council passed a stalled landlord-tenant bill, which created tenant advocates in the Consumer Protection Office, and added inspectors to the Housing Department. "The law that we passed guarantees that in the future [landlords] are going to have to be much more activist, much more focused on tenants,” Councilman Tom Hucker said last year. “And the public and the council are going to be able to keep an eye on them better." The county's internal auditor examined the response to the Flower Branch disaster and made 14 recommendations to the county, including that communication must be improved. The county also has invested in plans to manage volunteers and donations, run shelters and reunite families. A number of lawsuits were filed after the deadly blast, but they remain unresolved, according to WTOP.